Did you get an opener from Amarr and need services? Call Homeland Garage Doors Vancouver. What’s special about our team is that we all understand the importance of electric operators and make constant efforts to keep up with the latest innovations. As experienced technicians in garage door opener repair services, our specialists don’t miss out on novelties and are knowledgeable of the biggest brands. When it comes to Amarr openers, we can assure you of our experience to service, install, and repair them. We work with thoroughness, are available for our clients’ urgent needs at all times, and are ready to offer fast response Amarr Garage Door Opener Vancouver repair services. Don’t ever underestimate the significance of your garage door opener. As the unique electric device of your garage system, it ensures the automatic operation of the door and enhanced security. What we aim at with our services is to ensure that the opener will continue to work to your satisfaction and, above all, with complete safety. Rest assured that our technicians are familiar with products coming from Amarr and are equipped to provide immediate services. Whenever you feel there is something wrong with the door, let us check the opener. Having a hard time closing the door all the way to the floor? Is the opener light flashing? Does the opener make a weird sound and the door doesn’t move? As experts in opener services, we guarantee to troubleshoot and repair your operator as soon as possible. 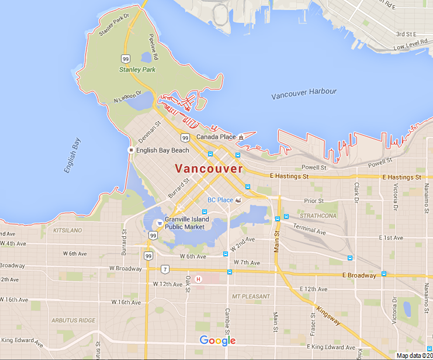 Our services are efficient and provided in a timely manner in Vancouver. With openers being responsible for your safety, the least we can do is to fix them as soon as possible. We surely promise immediate, same day emergency repairs but also meticulous Amarr garage door opener maintenance. Our inspections are thorough and our technicians have the expertise to replace the gear, fix the chain, align the photo eyes and repair the trolley. If you care to replace the existing opener, give us a call. Our professionals are experts in the replacement and installation of Amarr openers in British Columbia and will gladly help you out.